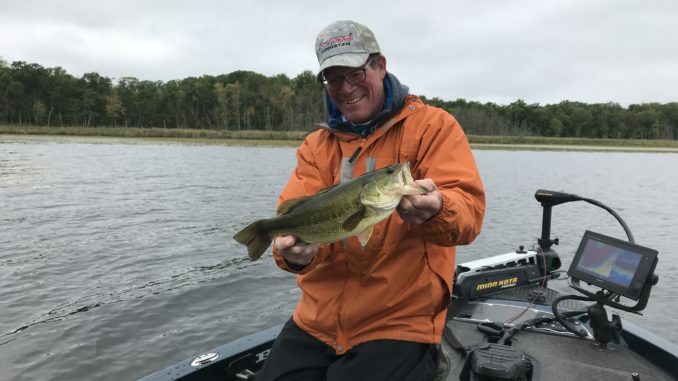 This largemouth bass, and 19 more like it, was caught on a 1/4-ounce, green pumpkin finesse jig with a small trailer after other baits, including a similar-sized, black/blue jig, failed to generate bites. For two hours in the middle of the afternoon, we “wore out” smallmouth on topwaters. During that time, the smallmouth stopped biting bottom presentations that had been effective all morning. 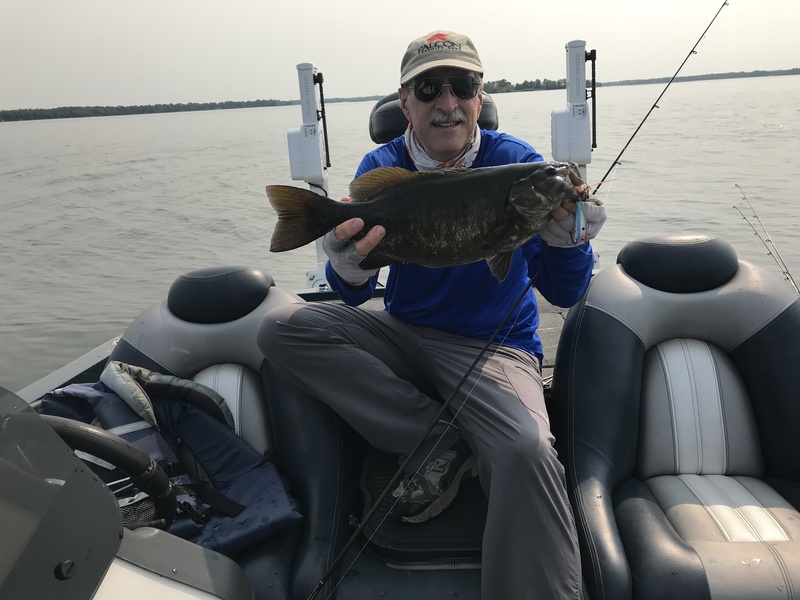 After a summer of fishing for smallmouth bass, I had identified productive habitats and effective presentations for catching these hard-fighting bronzebacks. My confidence was severely shattered a couple days later when I fished all morning without a bite. After five fishless hours, I abandoned the “go-to” baits, put on a weightless, Senko-style stickworm and cast it to a shallow, rocky reef. A couple of casts produced a scrappy smallmouth. 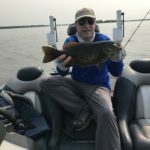 A couple of casts later, I boated a bigger smallie. Eleven more smallmouth weighing 2 pounds or more followed in the next two hours — all caught on the weightless stickworm. As a test of my newfound knowledge, I made some casts with the “go-to” baits. No takers. This scenario certainly is not new to me, and I’m sure every angler, regardless of what fish they target, has similar stories. For example, on some days, crappies will only bite jigs of a certain color. Animals, from grain-eating birds to flesh-eating fish, reptiles and mammals, search for food. When they find it, they consume it, if they can catch it. But sometimes, they focus on a particular food item, often to the point of not feeding on other items. Ethologists — scientists who study animal behavior — refer to this as a search image. Research has shown that the search image is not necessarily the entire food organism, but rather just some aspect of the food item that signals its presence. For example, for a crappie feeding on threadfin shad, it might be just a flash of silver and gold that signals food. 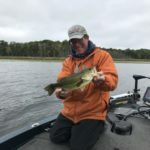 For a bass feeding on crayfish, it might be an oblong object hopping and gliding along the bottom, or maybe just the little puffs of sediment. Fish can learn, but their cognitive abilities are limited. The point is, the fish only needs to learn a little about the complex image that is their quarry. The search image is not restricted to visual stimuli. Among other animal groups, chemical stimuli, including smell and taste, can be the search image. Vibrations detected by the lateral-line system may be part of a search image for a fish, but this, to my knowledge, is yet to be determined. The search image is what attracts the fish or triggers the strike and, on some days, is essential to catching fish. Figuring out the key element of the image is the challenge. And it can be a difficult challenge. First, anglers have little idea of what fish see. To an angler looking into the water, a school of small shad appears as a swarm of dark forms occasionally flashing silver. What does a crappie see looking from the side or below? A weedbed is a moving kaleidoscope of subtle colors. What search image does a bass use to see a camouflaged sunfish? Lure shape, movement, or color may determine whether your offering matches the search image. Second, fish feed in a three-dimensional world, and position in the water column can be part of the search image. 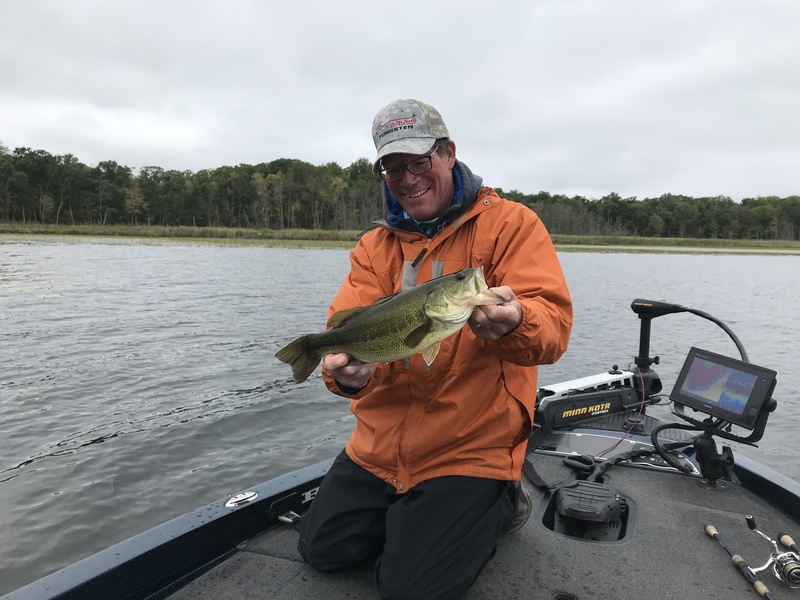 A bait on the bottom, no matter how much it looks or acts like a crayfish, will not fit the search image of a bass keying on shad or sunfish in the water column. And third, the search image can change. 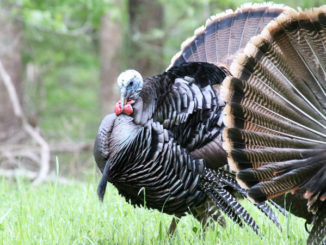 The change might be seasonal coinciding with changes in the abundance of one forage relative to another. Or the change may be daily, such as bass keying on the shad spawn. The change can be on an even shorter temporal scale, such as variation in the amount of sunlight changing the vertical position of shad and other forage fish in the water column or the position of the forage on river ledges in the Tennessee River when subtle currents begin. Fortunately, oftentimes fish are just searching for food — any food — and a spectrum of lures can be effective. But on those days when tried and true lures and presentations aren’t producing, give the fish a different look before concluding the fish aren’t biting and heading to the house.